It’s human nature to look up to the sky at night and feel a sense of awe. Even if you live in a place where stars are far and few between, the distant glow of the moon and the blanket of inky blackness that stretches above is enough to imbue anyone with limitless wonder. Perhaps that’s why Richard Branson, head of the Virgin Group, decided to boldly go where no brand had gone before. The Virgin Galactic brand stands on the precipice of becoming the first company to make commercial flights through space. In a world where businesses are constantly searching for new ways to differentiate themselves, Virgin Galactic has pulled out all the stops with a USP that no other organisation can match. The question is, with so much risk and uncertainty in the realm of space travel, how has Branson managed to launch an idea that maintains the overall Virgin branding spirit, and retains the consumer loyalty that took more than forty years to build? 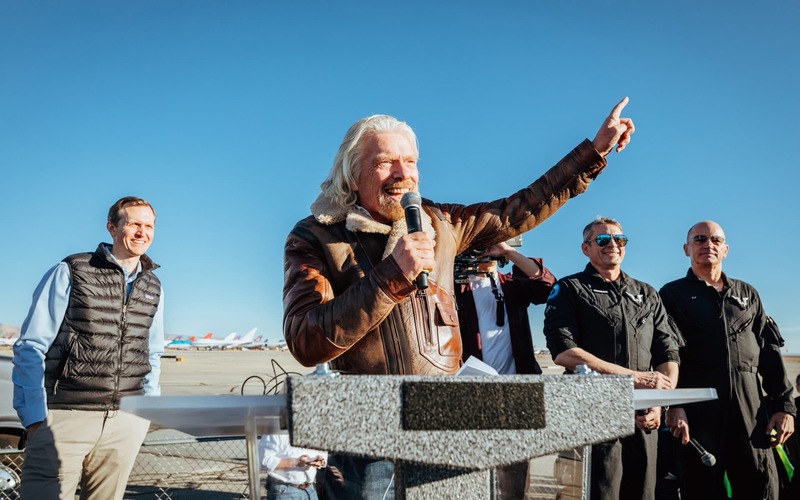 As we begin our evaluation into the brands of tomorrow, Virgin Galactic is a lesson into how the right personality, values, and company connections, can create a business that’s out of this world. Virgin Galactic history: What launched the new sub-brand? Since 2005, Branson has been gradually moving away from the management of his Virgin Group holdings, to focus more attention on his philanthropy, and the concept of ‘space tourism’. 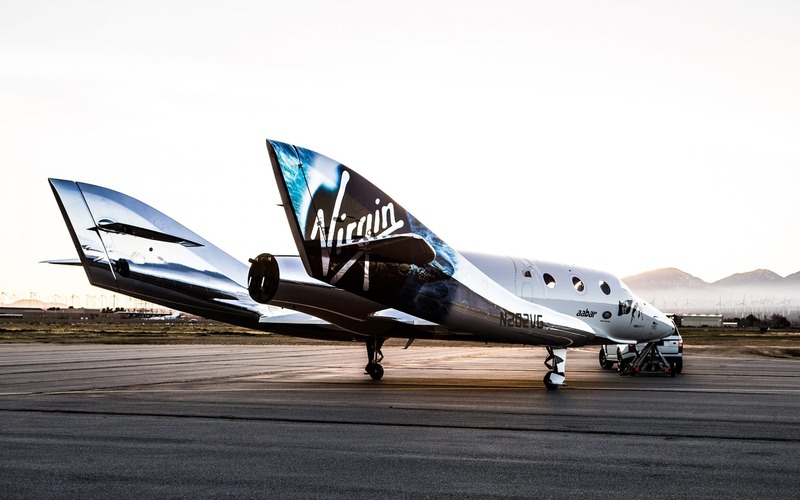 With the Virgin Galactic brand, Branson not only wants to send his customers into space, but also build upon his own personal brand, and develop new opportunities for the future. The question is, where did this incredible idea begin? 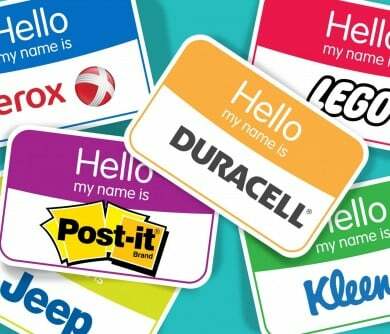 As you probably already know, Branson has gathered a wide portfolio of companies underneath the ‘Virgin’ brand name. 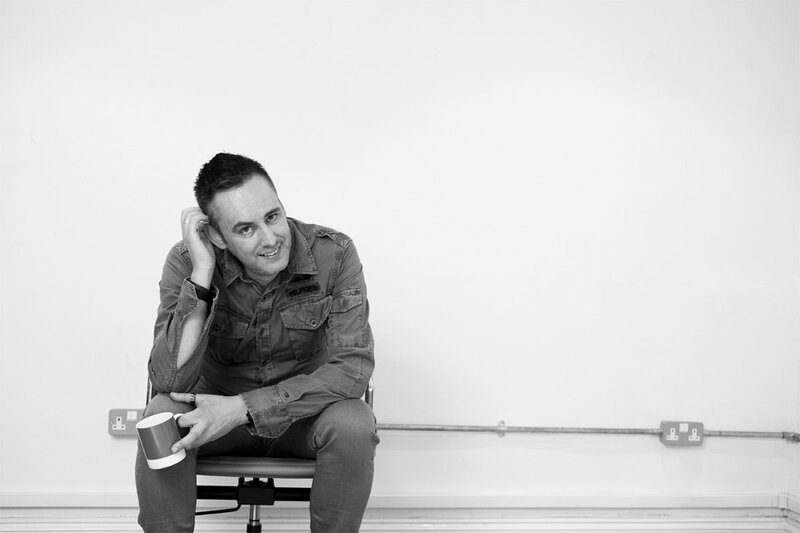 Over the years, he’s delivered everything from a media group, to banking opportunities, fitness centres, and more. The name for ‘Virgin Galactic’ was registered back in 1999, a few years after a prize called the ‘Ansari X’ award was announced. The otherworldly accolade was designed to deliver $10 million in funding to the first organisation not owned by the government, that showed an ability to fly people through space using a ‘reusable’ craft. 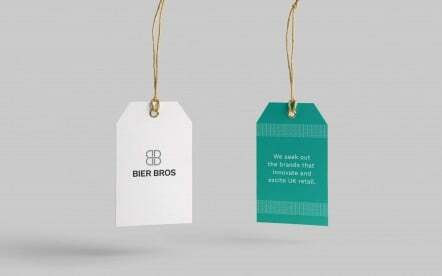 To win the prize, applicants needed to make two journeys within a two-week span. Branson, and his right-hand man, Will Whitehorn, decided to begin the search for the most promising man for the job. Eventually, they discovered Burt Rutan, an aviation specialist with amazing potential. Rutan had already founded a company for spacecraft design called ‘Scaled Composites’ in 1982, and he had been backed by Microsoft co-founder Paul Allen to create his X Prize entry. With the help of Allen’s company, Mojave Aerospace Ventures, the pair built SpaceShipOne, a rocket with the potential for atmospheric re-entry, and a hybrid propulsion system. 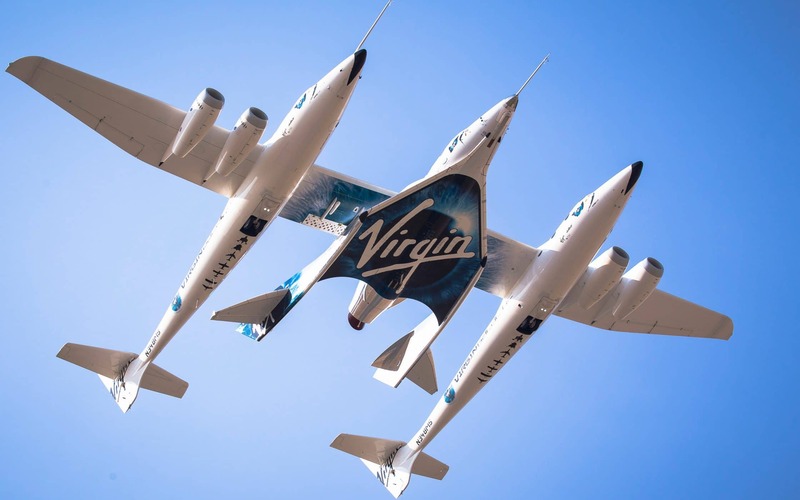 Branson began sponsoring Rutan’s technology in 2004, and in the same year, ‘SpaceShipOne’ passed through the atmosphere outer limits, and successfully returned to earth. Fewer than 7 days later, the second successful flight was piloted, which allowed Rutan and his team to earn the X Prize, and a place in history as being the first group to deliver a commercial space flight solution, without government sponsorship. Even before the successful launches, Branson had already announced that he was planning to create the first commercial space venture in the world for tourists who wanted to explore the galaxy. The prize-winning flight was his opportunity to take the first step, and the spacecraft quickly took on the Virgin brand identity. Virgin licensed the Mojave Aerospace Venture technology and officially began the Virgin Galactic brand. Overall, SpaceShipOne made 17 flights before it was retired to the Air and Space Museum in Washington in 2005. Rutan and Branson then agreed to form a brand-new production company, owned by Scaled Composites, and the Virgin Group. However, in 2012, Virgin Galactic became the sole owner of the organisation. Following the success of SpaceShipOne, Rutan and Branson began to develop the WhiteKnightTwo, which was named ‘Eve’ after Branson’s mother. Unfortunately, not all the Virgin Galactic history has been as successful as Branson and his team had hoped. Not only were several Scaled Composites employees killed in 2007 during a ground-based test, but SpaceShipTwo was involved in a horrific crash during a test in the Mojave Desert in 2014. The crash should have shaken the Virgin brand to the core, yet somehow, despite the problems, Virgin Galactic has continued to thrive. When the Virgin brand started, it was launched with a single purpose: to deliver unmatched experiences to customers. 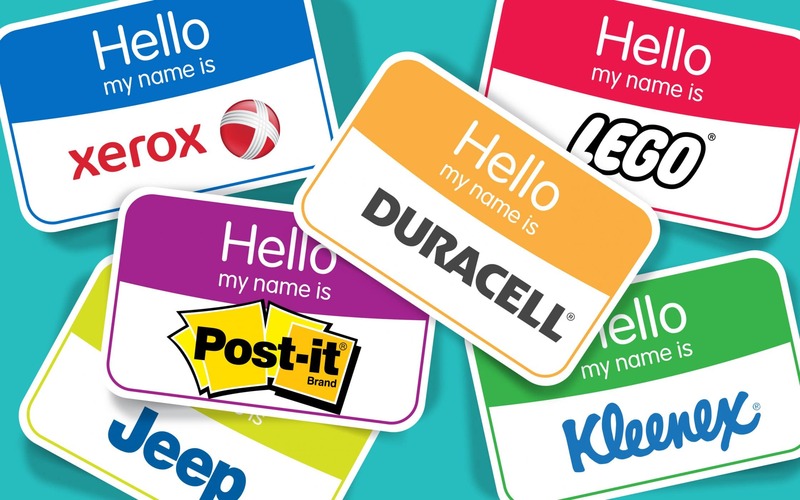 Over the years, this lofty brand purpose has taken the Virgin brand down many different paths. Branson began by publishing records for musicians that no-one else would touch, before initiating his own airline to overcome flight delays and cancellations. As the decades have passed, we’ve seen Virgin dip their toe in everything from money management, to health and fitness, all with the same goal of changing the world for the better. 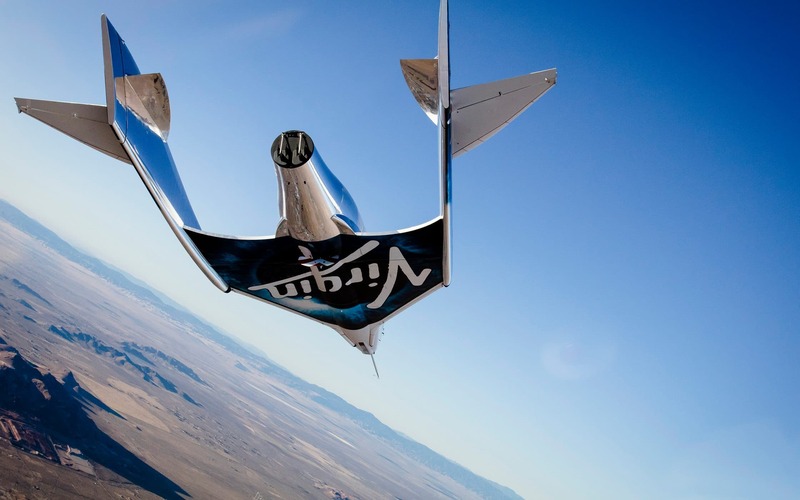 The Virgin Galactic brand works on the same premise as all the other concepts in Virgin’s portfolio. Perhaps even more than any other service the company delivers, Galactic wants to give people something they can’t get anywhere else. Of course, offering out of this world products and ideas means taking a few risks. 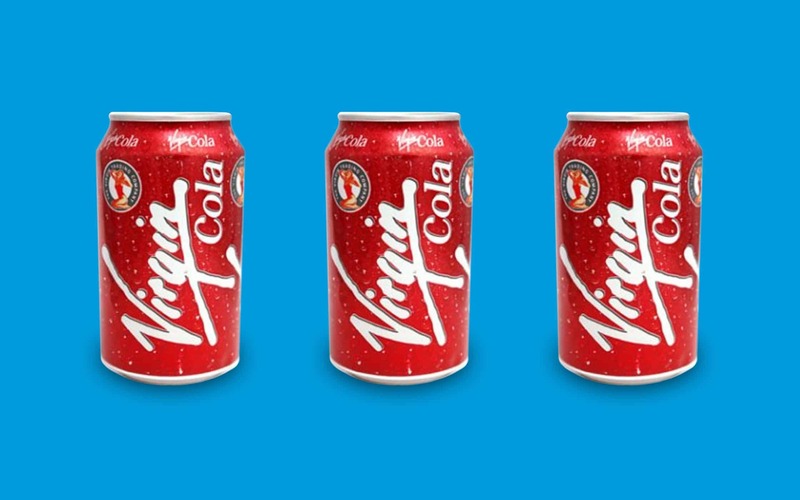 You can’t break the mould if you’re not willing to take chances, and we’ve all seen from concepts like ‘Virgin Bride’ and ‘Virgin Cola’, that Branson is no stranger to failure. While putting human lives at risk is something completely different to designing a wedding dress, the powerful identity that the Virgin brand and Branson himself has built over the years means that the company knows how to act in a crisis. If you want to a be a brand of tomorrow, then Virgin Space could deliver your first lesson in crisis management. The Virgin Galactic crash teaches us that communication is crucial. 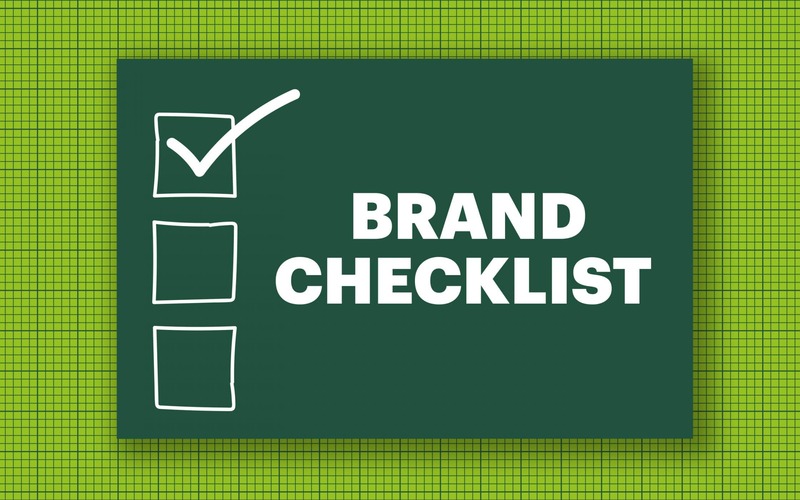 When creating any brand, it’s important to make sure that you have a marketing plan that resonates with your audience. However, there’s more than one reason to speak to your customers. 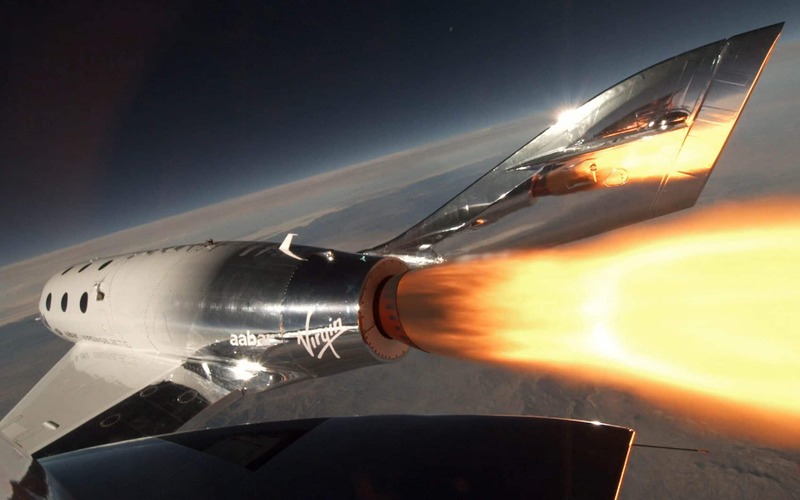 The Virgin Galactic brand values highlight ‘honesty’ as one of the company’s key characteristics, alongside a desire for disruption, and innovation. Branson stuck to those values when the Galactic mission failed and responded quickly with a statement about the crash – where other companies might have refused to comment in fear that anything they said could have been used against them. 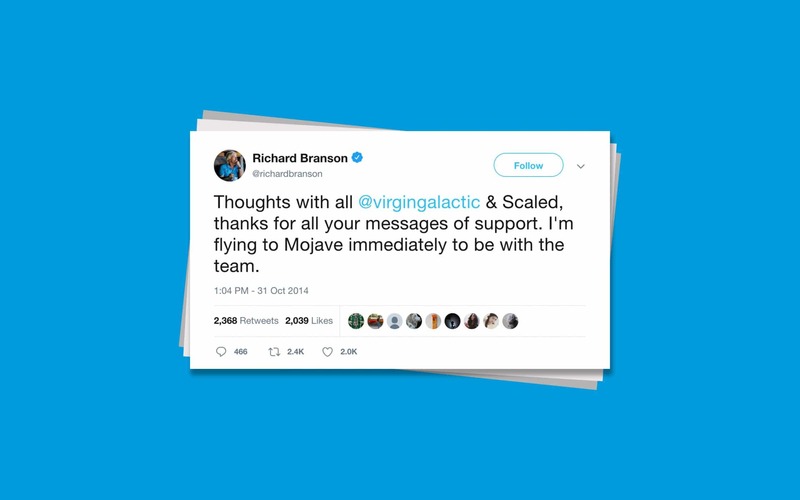 Branson didn’t just deliver a press release, he also showcased the Virgin Galactic brand identity, and the unique personality present in all his branding efforts, by taking to Twitter to thank his supporters for their kind words. Where other businesses might have suffered, the Virgin Galactic brand managed to maintain the love and loyalty of its audience. Space travel will always be a risky endeavour, and the Virgin Galactic brand was quick to point out that its brave team knew exactly what they were getting into when they started working on the Space Station. However, its friendly and familiar tone of voice made it easy to sympathise with the brand, instead of blaming it for the tragedy. 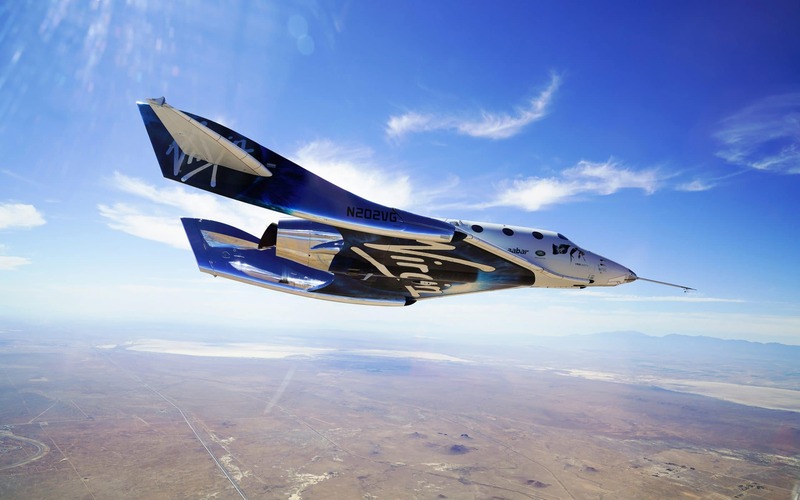 The disaster of SpaceShipTwo was a terrible thing, however, it also goes to prove just how effective the right branding and messaging can be – not only for helping you to develop awareness and expand reach with your audience, but also when it comes to ensuring long-term loyalty. An incredible brand develops a reputation for your company that can contribute to your success even in the worst possible circumstances. Through his own personal branding efforts, Branson had already established himself as a strong leader and public figure, known for his charitable work and incredible ethics. In other words, he’s a person that’s easy to get behind in a crisis. At the same time, the Virgin Galactic brand managed to tap into the years of familiarity and loyalty that the Virgin Empire had already built before Virgin Space ever had the chance to emerge. 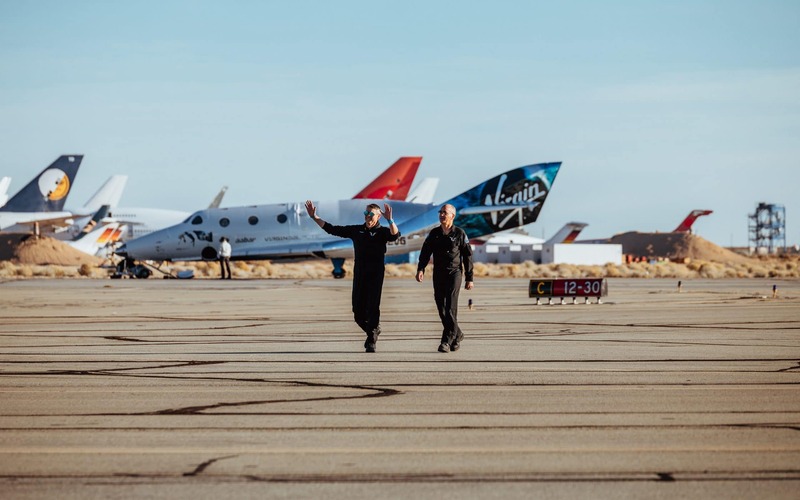 Ultimately, the Virgin Galactic brand thrives not just because it’s delivering something that no-one has ever done before, but because it benefits from a carefully-cultivated personality – something that Virgin has been building for more than four decades. 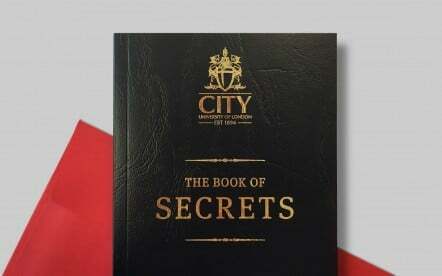 The Virgin values of curiosity, exceptional customer service, and transparency are just as evident in Virgin space travel, as they are in Virgin Money, Virgin Trains, or Virgin Atlantic. Unlike other next-level companies that have had to build the brand of tomorrow from scratch, Virgin Galactic had the opportunity to develop upon an existing foundation of recognition, and appreciation, which could be why the company has been able to so successfully go where no-one else has gone before. When it comes to the Virgin Galactic image, the first thing to note is its incredible website and marketing materials. 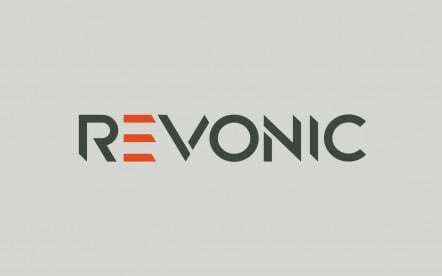 Though the website looks somewhat different to the typical visual identity we would expect from a Virgin brand, the presence of the unique Virgin typography on the logo reminds us of who we’re dealing with. 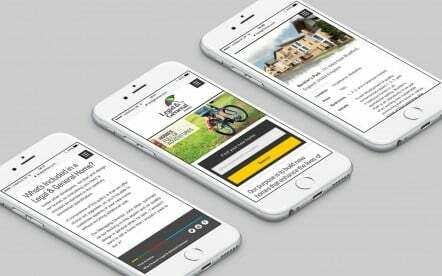 While it might have been tempting to stick with the traditional red colouring throughout the site, it’s also worth noting that the company needed to show the world that they were doing something different. Changing the shades they used was a great way to do this. Additionally, the bold red of the Virgin identity might work well for media and air travel, but it’s not necessarily as compelling for a futuristic endeavour like space travel. 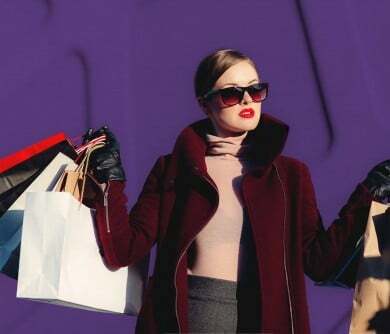 When it comes to selling something that customers don’t know if they can trust, blue is a hue much more likely to inspire confidence. 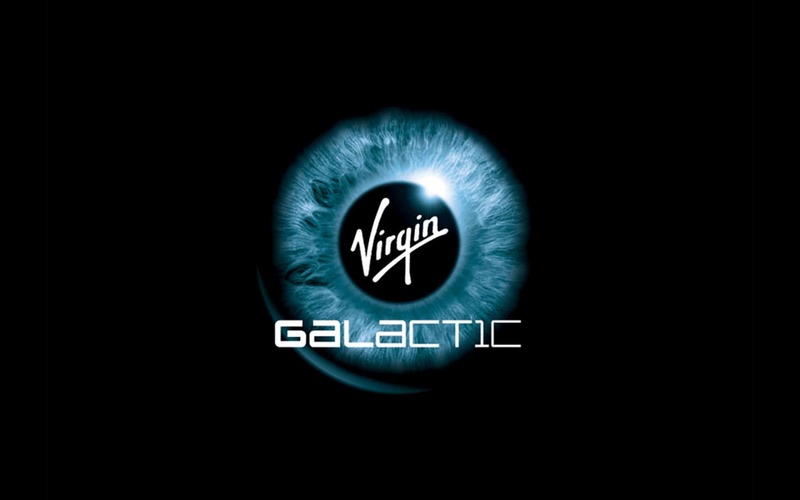 The signature Virgin logo typography is easily recognised around the world, so it makes sense that the company wouldn’t want to stray too far away from the original design when creating the Virgin Galactic logo. 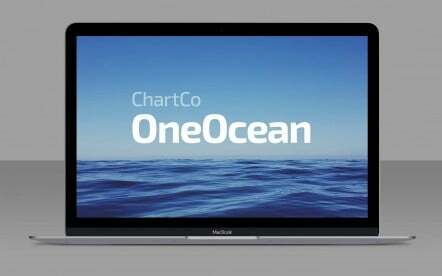 However, GBH, the organisation responsible for the new graphic, also needed to think of a way that they could effectively represent what the new venture was all about. The shape of an eye around the Virgin type is a bold and interesting choice. The imagery is effective because it does deliver a futuristic feel, while the bold “Galactic” font is undoubtedly modern. The graphic is unique because it doesn’t go for the ‘obvious’ choice like a star, or spaceship – instead, it encourages us to think about space travel from a human perspective. Since Virgin has always associated itself with customer experience and authentic personality, the ‘eye’ makes a lot of sense. According to the designer, Phillipe Starck, the iris is intended to represent the long-term vision of the project. The blue and black colouring draws the mind to ideas of the sky, and what lays beyond, and the pupil itself incorporates an ‘eclipse’ effect which is meant to demonstrate the dawning of something new. As noted above, the Virgin Galactic brand voice is an incredible resource for the company and something that’s helped it to achieve out-of-this-world status. 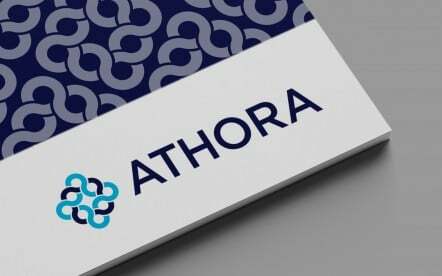 The wording and identity you’ll find on the company’s website, blog, and social media pages, all represent the charismatic and forward-thinking tone that we’ve come to associated with the Virgin brand overall. At the same time, to remind customers that Virgin Galactic is a futuristic brand, the company has incorporated its own regularly-updated news feed into the website, where you can catch up with everything that’s happening in the world of Space Travel. This is the perfect example of how Virgin likes to disrupt, engage, and stay on the cutting edge. Social media marketing is an intrinsic part of Virgin’s plan for brand reach and awareness. No matter whether you’re interacting with Virgin Media, or Virgin Trains, you’ll be able to reach someone on Facebook and Twitter. 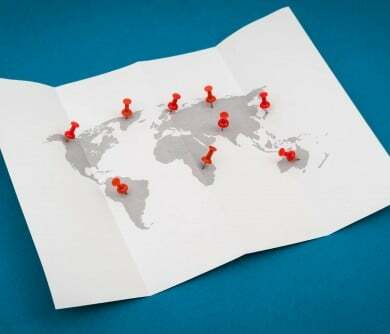 That’s part of what makes the company so compelling – the fact that it’s willing to connect with its audience wherever they might be. 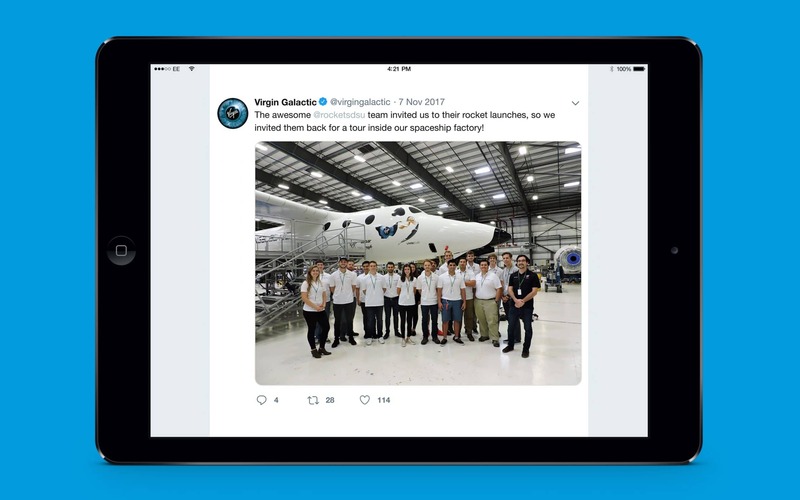 Virgin Galactic has a Google +, Twitter, and Facebook account, through which it shares updates about what’s happening with the company, and insights into the brand that allows it to demonstrate its powerful and human personality. By way of example, on Twitter, the Virgin Galactic brand is constantly sharing images of its team to remind customers of the people behind this futuristic endeavour. Virgin Galactic is also an expert in the world of video marketing – something you might expect from a futuristic company. 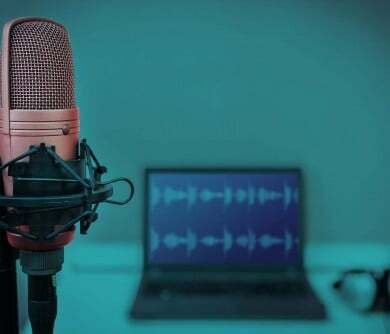 While the organisation is always keen to share insights with its customers in the form of blog updates and articles, it also knows that one of the best ways to explore a new idea is with visuals and vlogs. Through its video marketing efforts, Virgin Galactic doesn’t just film advertisements to share with its customers on a regular basis. 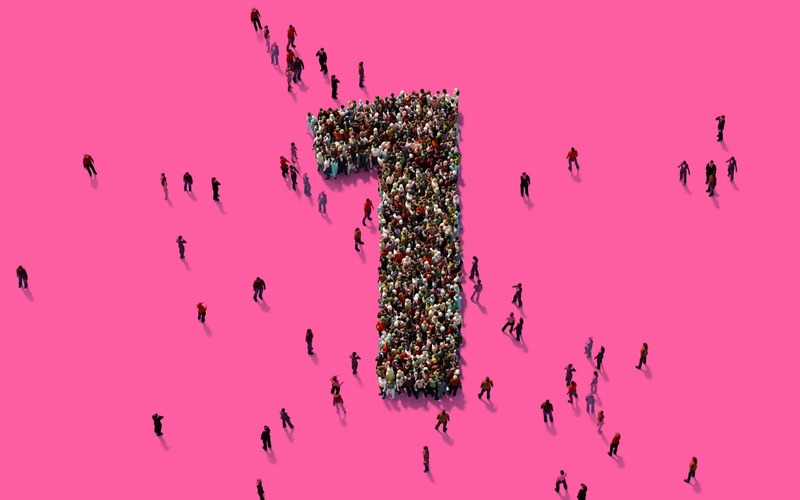 Instead, it’s all about giving clients and fans an insight into what goes on behind the scenes – yet another element that adds to the company’s humanity. Though the road to success hasn’t always been straightforward for Virgin Galactic, it appears it’s gradually getting on track to becoming one of the leading space organisations in the world, and the first company to offer commercial space flights to the public. 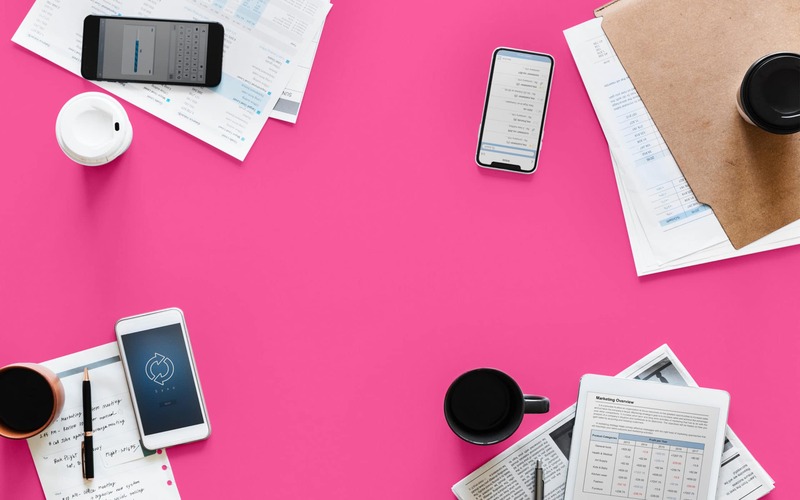 While the company’s impeccable branding strategies have been incredibly useful at making the organisation as successful as it is today, it’s worth drawing some attention to its marketing efforts too. We’ve already discussed Virgin Galactics approach to social media connections, but if you know anything about the Virgin Group, you’ll know that the public outreach doesn’t stop there. Virgin is constantly looking for new and surprising ways to share its brand values with the world, and with its impeccable marketing team, it has been able to stay in the limelight for more than a decade, despite the fact that it hasn’t sent a single customer into orbit yet. Richard Branson, the innovative mind behind the Virgin Group, is known for a lot of things. Not only is he an amazing entrepreneur and a charitable person, but he’s also a master of the publicity stunt, who’s pretty much up for anything so long as it draws attention to himself, and the companies that he believes in. Branson has done everything from dressing as an air hostess to market Virgin Atlantic to flying around the world (or at least trying to), in a hot air balloon. He even drove a tank through New York City once! He’s also attended a press conference wearing a full spacesuit – playfully branded with the Virgin logo. No doubt he gave promotional t-shirt companies something new to think about there. The Virgin Galactic brand has also promoted its using earned media, including countless mentions by news outlets, SpaceNews.com, and Space.com. 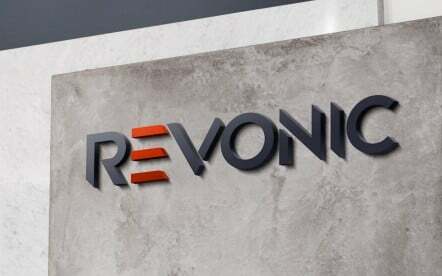 After all, when you launch a futuristic company like this one, you can rest assured that people are going to want to talk about you. By generating a news-worthy concept, and nurturing word of mouth marketing, Virgin Galactic ensures that it is never lacking in buzz. 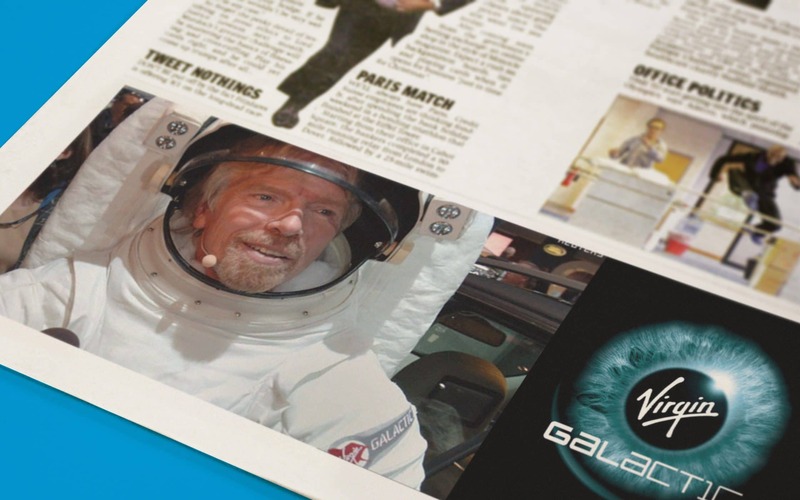 The Virgin Galactic brand frequently helps to generate new stories to feed the news industry too, such as launching a blimp to poke fun at British Airways. Finally, as masters of corporate responsibility and philanthropy, Virgin is always getting involved with new charitable ideas, and the same is true with Virgin Galactic. 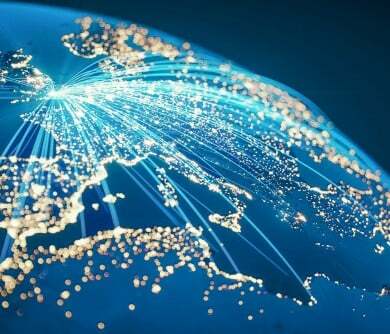 Using its Galactic Unite programme, the company has been able to offer scholarships, internship opportunities, and mentoring programs to people around the world. This means that it’s not just delivering an amazing product, but is also consistently giving something back to the community. Virgin Galactic’s charitable side not only helps to expand brand awareness, but it also means that it’s easier for the company to build strong, and lasting relationships with customers who want to invest in a brand that isn’t just in it for themselves. Ultimately, Virgin Galactic might still have a long way to go before it can deliver real commercial space flights to people across the globe, but its incredible branding has meant that it’s been able to generate interest, loyalty, and recognition, although it has yet to deliver on a single product. 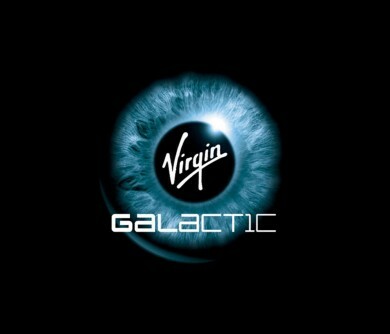 By remaining true to the underlying Virgin values of delivering exceptional customer experience, Galactic has tapped into a dedicated following of customers that are willing to support Branson, and his next-level ideas, regardless of what happens. 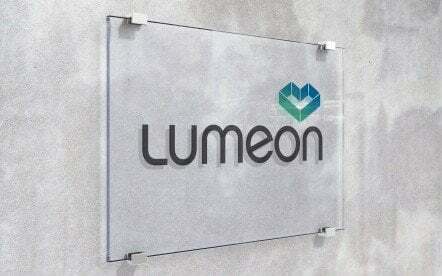 In fact, this is a company so powerful, that its identity can overcome even the most catastrophic failures. When it comes to learning from futuristic brands, perhaps the lesson we get from Virgin Galactic, is that while a truly unique product can help you to capture the attention of your target audience, it’s your personality that ensures you stay in the limelight. If you can develop a tone of voice, marketing strategy and purpose as effective as Virgin Galactic, then you could be the next company to launch a brand that’s out of this world.